RAPAPORT... Output at Lucapa Diamond Company’s Lulo mine in Angola fell in the first quarter, as it focused on processing ore from lower-grade mining areas. Production declined 25% to 3,369 carats, compared with 4,507 carats the previous year, the miner said last week. Sales volume for the period plummeted 93% to 451 carats. However, sales value rose 12% to $12.1 million, as the company sold seven large stones it had been saving for auction at its first Angolan tender. Those diamonds drove an increase in the average price to $26,754 per carat, compared with $1,731 in the first quarter of 2018. During the three months ending March 31, Lucapa recovered a total of 92 stones above 4.8 carats from Lulo. Those included 31 special-size stones — above 10.8 carats — the largest of which was a 128-carat, high-quality white diamond. 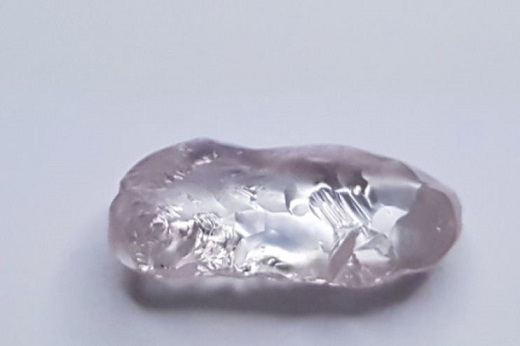 The miner also recovered a 7.5-carat, fancy-purple-pink diamond from the deposit. At the end of the quarter, Lucapa had 4,871 carats in its inventory. It will sell those stones in the second quarter of the year, it said.